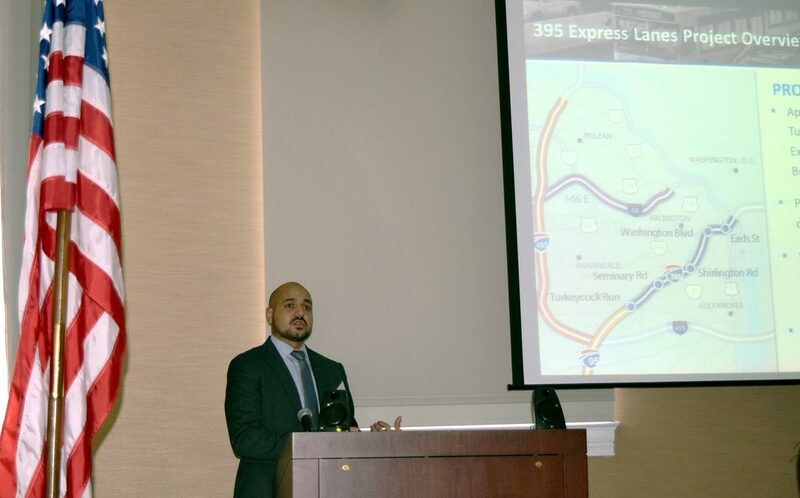 Sean Mallipudi, of Transurban, details the company’s I-395 Express Lanes Extension project at the bi-monthly breakfast of the Metropolitan Washington Road & Transportation Builders Association. Transurban North America’s Procurement Manager Sean Mallipudi May 18 detailed the company’s I-395 Express Lanes Extension project to local transportation construction professionals at the bi-monthly breakfast of the Metropolitan Washington Road & Transportation Builders Association (MWRTBA), held at the ARTBA Building. Transurban is developing the project in partnership with the Virginia Department of Transportation (VDOT) and the firm is responsible for financing, design, construction and operation. The eight-mile project, which is in the first stages of procurement, will run between portions of Arlington and Fairfax Counties and the city of Alexandria, with some elements located in the District and on Pentagon property, Mallipudi explained. A contract and notice to proceed is expected to be awarded in spring 2017. The meeting also featured a presentation from ARTBA Chief Economist Dr. Alison Premo Black, who outlined the impacts of the recently passed FAST Act and how it will affect the region’s transportation construction market over the next five years. “The most important part of the bill is its length,” Black said, noting it will finally provide some stability to state DOTs after years of short-term extensions. She also explained the continued importance of the federal aid highway program to states, which provides on average, 52 percent of state capital outlays for highway and bridge improvements. MWRTBA’s breakfast events are networking and learning opportunities for area construction professionals. 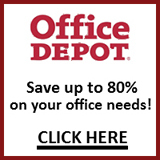 Members include contractors, subcontractors, materials suppliers, engineering firms, law firms, accounting firms, bonding and insurance firms, equipment manufacturers, and the traffic safety products industry. Contact MWRTBA Executive Director Mike Sakata or visit www.mwrtba.org to learn more.